Secret footage shot inside a Lancashire non-stun slaughterhouse shows sheep having their throats hacked at and animals being thrown. This has prompted an urgent government investigation into cruelty and a slaughterman’s licence has been withdrawn. 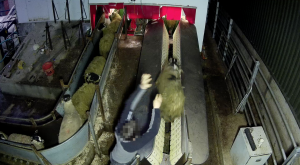 In its latest investigation, leading animal protection organisation Animal Aid placed hidden cameras inside the slaughter area and lairage of Malik Food Group near Burnley, Lancashire, for two days in March. On its website the company tells customers that “All our animals are…processed in the most humane and compassionate way possible, with full adherence to and exceeding all UK welfare standards at all times”. However, covert footage obtained from the premises shows a different picture. 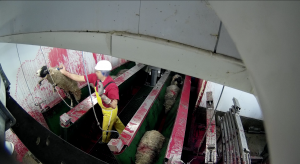 The Food Standards Agency (FSA), which regulates animal welfare in slaughterhouses, has confirmed there have been “serious non-compliances with animal welfare legislation” during its initial review of 20 minutes of the footage. In response, the Agency has launched an urgent investigation, withdrawn the licence of one slaughterman and is understood to be considering bringing criminal proceedings. 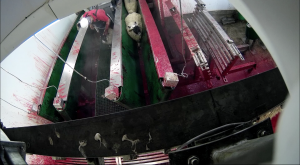 Malik Food Group is the 12th slaughterhouse in which Animal Aid has filmed undercover since January 2009. 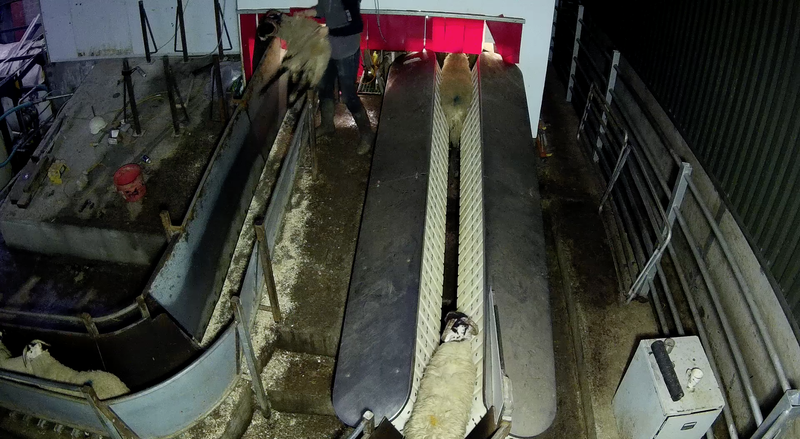 Of the 12 slaughterhouses filmed in, 10 attempted to stun the animals before killing them. Two were Soil Association-approved, and another was accredited by the RSPCA. Evidence of lawbreaking was found in nine out of these 10 traditional ‘stun’ slaughterhouses. This included animals being kicked, punched in the face, given electric shocks and burnt with cigarettes. “Animal Aid’s latest investigation inside a UK slaughterhouse has uncovered barbaric and deliberate cruelty being inflicted on animals, in horrific scenes unlike any we have ever seen before. There is no doubt that lawbreaking continues to be an inherent problem in abattoirs. Animal Aid conducted undercover filming at Malik Food Group, Dunnockshaw Farm, Dunnockshaw, Burnley, Lancashire, BB11 5PP, over two days between 2 March and 21 March 2017 inclusive. Animal Aid has a strict investigations policy which ensures adherence to biosecurity measures, obtaining access to premises without causing any damage to property and seeking to ensure that no stress is caused to animals at sites visited. Read Animal Aid’s statement on non-stun slaughter. Take action! Ask the government for independently monitored CCTV in all slaughterhouses now!